What Is the Ideal Humidity for Storing My Guitar? How Do You Measure Humidity? Are There Visible Markers That My Instrument is too dry? 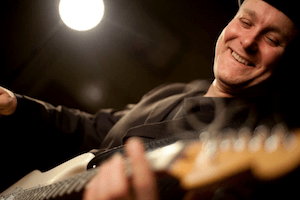 Humidity in the air – or the temperature for that matter – can affect the sound quality of your guitar. This is especially true for acoustic guitars. 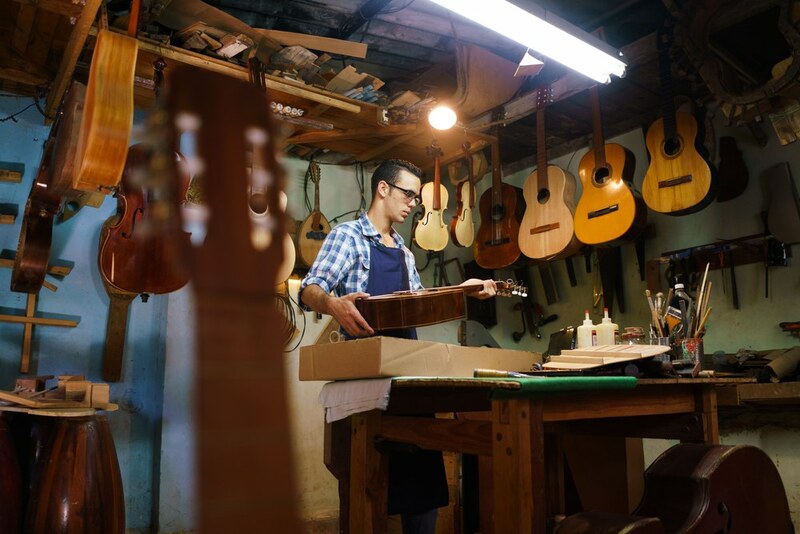 Extreme temperatures or humidity swings can cause the wood to expand or shrink and change the way that your instrument sounds. If you ever have a day where your guitar just doesn’t sound right and is requiring constant retunes you might be battling humidity problems. This is especially important during weather changes. You go from a nice, rainy, fall to a chilling winter with heaters that dry out everything, and it’s a wonder that your guitar doesn’t just give up from the swelling and shrinking that comes from the changing levels of water in the air. You’ll want to keep your guitar at a relative humidity of 45-55 percent. Now, most of us keep our guitars in our climate-controlled houses. That takes care of a good deal of the environmental battle. However, our climate control systems are designed for humans, not musical instruments. The instrument humidifiers I discuss will work on any guitar, including Gibson, Martin, Fender, Ibanez, and others. If you want your investment to last, then you will want to invest in a guitar humidifier. 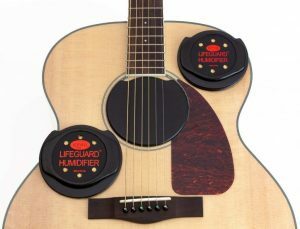 The D’addario Planet Waves acoustic guitar sound hole humidifiers is one of the most popular ones on the market. 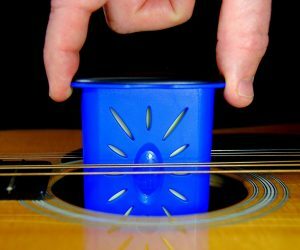 The solid plastic design easily slips in between the strings, which keeps this humidifier pack from touching the sides of the soundhole. You’ll lightly dampen the included sponge with distilled water, and slip it into the plastic, drip-free enclosure. 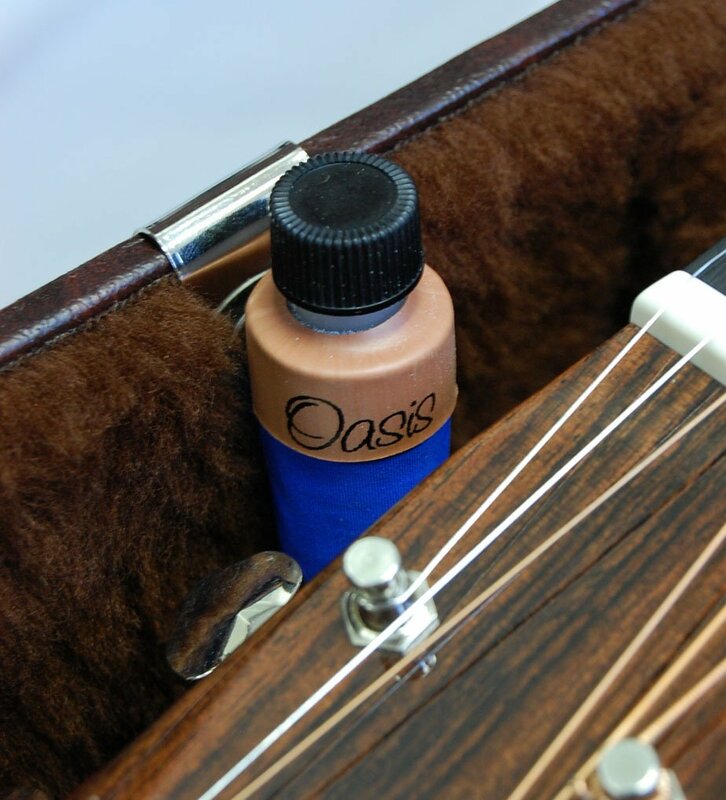 This provides deeper protection inside the guitar, making this an ideal choice whether the guitar is on its stand or in its hard case. Another good soundhole humidifier is the Music Nomad MN300 Humitar. This acoustic guitar humidifier brings a couple of extra features. For one, the sponge of the Music Nomad is designed to carry more water than many of the competitors. The humid-i-bar sponge holds 10-times its weight in water. This is perfect for those of you who want to protect a guitar that you don’t play as frequently. There is also an easy quick-flip top that makes it easy to check how wet the sponge is and whether you need to refill it. These features make this one of the best guitar humidifiers on the market. The Oasis OH-1 Guitar Humidifier is clearly different from the others. 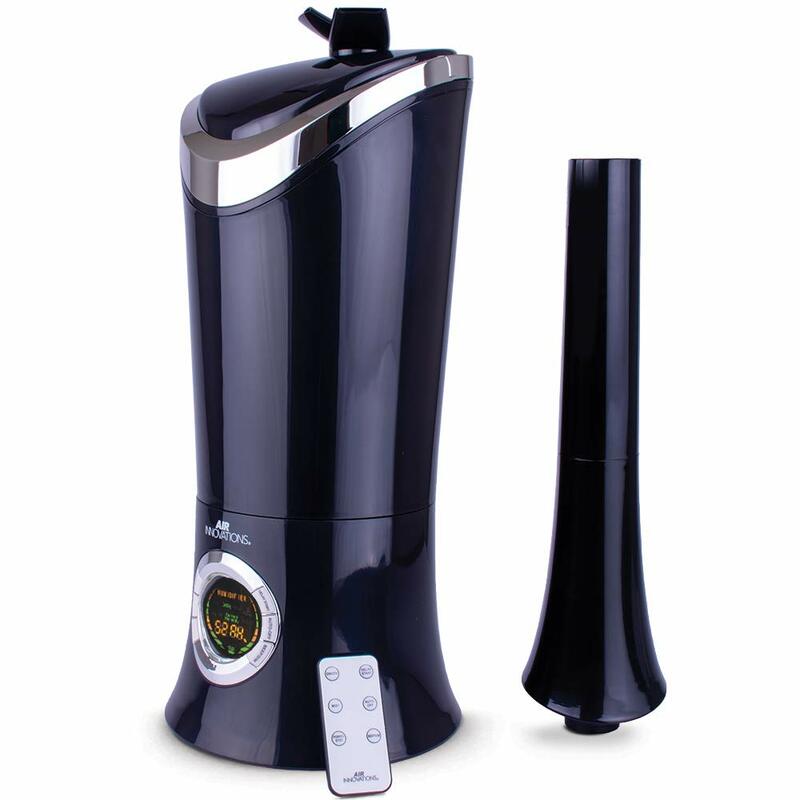 Favored by luthiers and guitar aficionados, these humidifiers bring a different humitar technology. This humidifier uses a gel inside the round tube. The best tip is to fill it 90% of the way up and then wait 15 minutes for the gel to solidify. Once that gel solidifies, it’s not going to leak and you can even stand the guitar up with the humidifier in it. Most folks will set an alarm on their phone to remind them to top off the humidifier once a week. 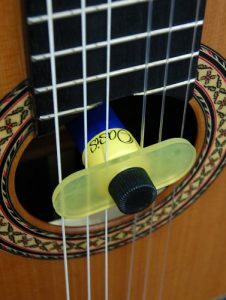 Thanks to the gel technology, it holds more water, has a lower risk of leaking and only needs weekly top offs to keep your guitar properly humidified. The other neat thing with this humidor is that you can replace the gels inside the device. About once a year, just dump the old gel beads out and refill, making this one of the longest-lasting and top-performing setups on the market. Folks with high-end guitars and guitar shops seem to have a preference towards the Oasis. guitar in, this might be a good choice for dry climates. With the packs, you want to be careful not to over moisturize your instrument. Even during the winter they typically only need to be refilled with water every six days or so. Don’t force so much moisture into your case that you end up with that waterlogged situation we were talking about earlier. The best part is that you can pick up a high-quality pack liked the D’Addario Two Way Humidification System is quite affordable. These Humidipaks offer two-way humidity control that can increase the humidification or decrease it as necessary to keep the proper protection. They also work well for pretty much all wooden instruments that have a case. This is one of the only systems that work to either increase the relative humidity or to decrease it. If your room gets too humid, it’s annoying but it’s not the end of the world. 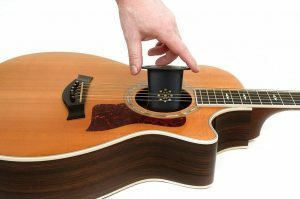 Sure, your instrument won’t sound as great and you will have to retune it, but your guitar should not be permanently damaged. Besides, all you have to do is turn on your air-conditioning and it will pull the humidity out of the year. If you don’t have a whole house air conditioner, it would be worthwhile to get a room conditioner for your guitars. Moisture is also easily added to a room. If you are home a lot, you can use a combination of a simple $20 water vapor humidifier and a wall hung hygrometer to keep track of the room’s humidity. Most of us live busy lives, and that is why I like a wirelessly controlled humidifier. These humidifiers will keep your room at a pre-set humidity level, and notify you when you need to refill it. This gives you the added peace of mind so that you can keep an eye on your studio’s moisture levels no matter how many late nights you pull at work, or even if you are gone for an extended amount of time. People who already have wirelessly controlled thermostats can appreciate how they can use both humidifier and their air-conditioner to keep their home’s humidity in a tight range. I understand that if you want to spend this kind of money on a humidifier, but it is only about the price of one humidified case, so it actually is a really good deal. It also is one of the best-rated humidifiers on the market, making it my top pick for keeping those valuable investments safe. The best way to protect your guitar is undoubtedly a humidified case. Now, these cases are not cheap. So I understand if most people don’t go for it. But if you have an instrument that you worked hard to save up for, or spent a lot of years paying on a little bit at a time, then this is the absolute best way to keep it safe. Not only are these cases better built than the others on the market – offering better “bump protection” (The Humicase brand has 7 layers of plywood), they also do an excellent job controlling the moisture levels surrounding your guitar inside their small, controlled, environment. I find it fascinating, actually. In almost all other music disciplines a humidified case is the assumed norm. It’s rare to find a quality violin without a hygrometer inside its case, and orchestra students are taught to take care of moisture levels as a first care technique. They make these for all shapes and sizes, so whether you have a classical or a dreadnought you are guaranteed to find the right case for your shape and size. But if you aren’t financially or emotionally prepared for the cost of a fully outfitted upgrade, keep reading for smaller upgrades that you can do to the kit you currently are running. Click here to see The Best Deals on Humidified Guitar Cases. For those of you who don’t know what humidity is, basically, it is a measure of how much moisture is in the air. Since all guitars – even solid body and electric guitars — are made out of wood, they tend to absorb the water that in the air around them. 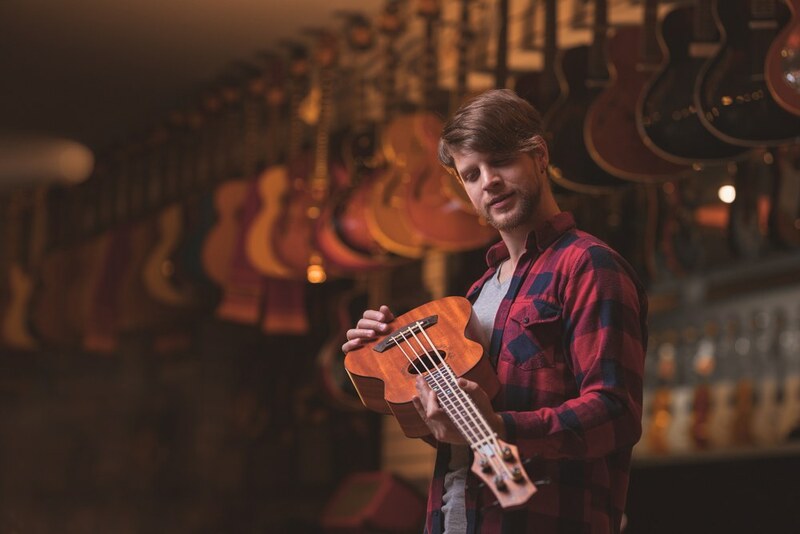 When there’s lots of water in the air – such as in the hot, sultry summer months — the wooden body expands, loosening the areas around the pegs and throwing the strings right out of tune. This is especially noticeable as humidity changes occur from morning to night. While high humidity is annoying because it’s constantly shifting, low levels are actually very dangerous. Those cold winter months hit, and there’s not much moisture in the air because it’s too cold, then the heater kicks on, and bakes out the last of the humidity. It’s not long before your $1000 guitar as an incredible crack running down it. For people who live in desert climates, it’s natural to think about moisture levels because you are constantly fighting with chapped lips and cracked skin, so it’s more common to have whole house humidifiers and to check moisture levels. But you may not have thought about the wood in your instrument needing the same thought and care as your lips and skin. And it’s got to be one of the most heartbreaking things to come back to your treasured instrument after week and have it irreparably damaged – just from improper storage. For those who have invested a thousand, or several thousand dollars, into their kit, this can destroy their music career, or set them back several years. Even with a $300 instrument, it can prevent moving forward at a crucial time in your musical journey. Conversely, if you live in an extremely balmy area, such as near the ocean, you may need to focus more on decreasing the moisture levels when you store your guitar to prevent mold and mildew, and protect from having it swell out of shape or seams become unglued and split open. And, damage aside, a too humid environment can make you sound dull and sluggish. “Waterlogged”, if you will. Because the wood that the sound is reverberating off of is too soft for a good strong echo. It’s like turning your instrument into a “soundproof” practice room with muted walls and carpet. Not exactly desirable. So if that’s the case, look up “dehumidifiers” to dry out your case and/or studio. Here’s a helpful guide to figuring out if you are dealing with too much moisture. There is a pretty strong consensus that 50% is the best RH level for store your guitar. Sure, life happens, and if it swings between the 40-60% range now and then, it won’t damage it permanently. Keeping exposure down to a couple of days is ideal, though! Ideally, though you want to keep it as close to 50% as you can. Might make it up to 60% for a short period of time, but you’ll mostly want to keep it as close to 50% as you can. Some systems let you pre-set a relative humidity percentage and then automatically maintain that but mostly that just requires keeping tabs on major weather shifts and compensating. Because dryness is the guitar’s worst enemy, most humidification systems focus on adding humidity to your guitars dry environment. Even if you have to take it into dry or overly humid environments, it helps to “rehab” it with a good humidifying (or dehumidifying) treatment of several hours at the right level any chance you get. So then this raises an obvious question. Just how do you track the humidity when storing your guitar. Is there some sort of guitar humidifier gauge you can use? Thankfully a hygrometer does just that, and they aren’t all that expensive. My favorite is the one made by Oasis. 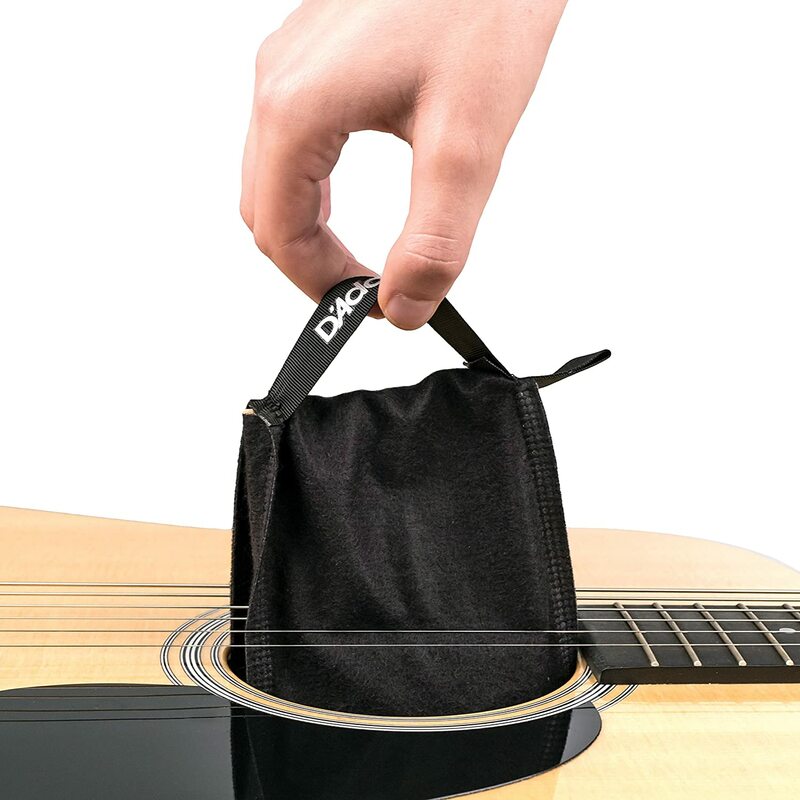 It is small, accurate, and even has a secure velcro system (or an optional case upgrade that lets you slip it right next to your guitar) that keeps it from bumping around inside your guitar case. The ironic thing is that it can actually cost you more to measure your humidity situation than it does to remedy it, but the more you’ve invested in your kit the less you will mind the cost of protecting it! This hygrometer is not designed to measure humidity changes in a room. However, you can get room-sized hygrometer’s for about 15 bucks off of Amazon if you tend to have a room with your instruments are kept instead of a case. But, for those of you on a budget, it is a lot easier to control the humidity of a case than it is to track and control an entire room. Short answer: yes. One of the first signs is that your fret ends begin to protrude over the edges of your fretboard, making them sharp and uncomfortable. If you catch this super early, re-humidifying and careful care can cause the board to re-swell to the proper size. If not, you will have to have your sharp fret ends filed down. Before doing that, try some high-quality fretboard oil over the course of a few days. Like lotion works to help with wrinkles, a good oil can help your fretboard to return to its good shape. Also, if you start seeing tiny cracks in the finish of the instrument, that tells you that the wood itself is shrinking faster than the lacquer can handle, causing it to separate from the wood. This isn’t structural damage, but if you are seeing it happen then you need to get your instrument to some desperately needed moisture.